As the US presidential election results poured in, the shocked elite of the US wept not because Hillary Clinton lost but because Donald Trump won! 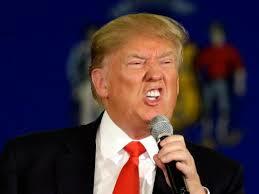 The reason of a section of the US society lamenting at Trump’s election as the 45th President of the US is mainly attributed to: his inexperience, character, temperament and poor knowledge of the high office that he is going to occupy, besides his hate speech, racial bigotry, and his sheer idiocy about political policies that he exhibited during his campaign. However, his once described character by the press as “at best undisciplined and at worst abusive” appears to have undergone transformation as the calm and conciliatory tone of his victory speech reflects. Nevertheless, toxicity, once injected into politics is hard to exorcise. Secondly, no one is sure of what his policies would be, for, he is still a leader in the process of making. And whoever is making any guess about his likely behaviour as the President is simply based on whatever we all have heard him talking during his campaign about his polarizing-agenda—his focused address to a section of America which has felt socially and culturally threatened by the globalization-induced transformation that America is witnessing through—for the last one-and-a-half year. And unfortunately, his election rhetoric was so very clear, consistent and for that matter was even insistent. It therefore, gives strength to whatever the analysts are predicting about his likely benefitting the enraged white working class by putting into practise his “ethnic nationalism” and its impact on the world economy. Which means, he is sure to renegotiate the North American Free Trade Agreement afresh—the most important US-led trade agreement under which the economies of the US, Canada and Mexico are so deeply integrated over the years—and if necessary even to withdraw it altogether. And, scrapping of the Trans-Pacific Partnership, a trade agreement among 12 Asia-Pacific nations that President Obama felt ‘pivotal’ for America’s Asian policy is a foregone conclusion. His imposing the proposed high tariffs of 35% on imports from China and Mexico “to discourage companies from laying off their workers in order to relocate in other countries and ship them back to the US tax-free” will only engender the risk of retaliation from the countries affected by his protectionist measures, besides increasing the cost of living even for the white poor. Secondly, his proposal to reduce the top individual tax rate to 33% and the corporate tax to 15%, while eliminating estate tax altogether will only widen the already huge fiscal deficit, unless he cuts ongoing expenditure on defence, or other social security measures. Ironically, he, at the same time, wants to increase spending on infrastructure creation by inviting private investment, which by itself is good. But the big question is: who will invest in a country that is known for high cost of production owing to its aged-labour, and particularly in the light of his proposed unabashed protectionist policies. Should this happen, the US public finances are certain to weaken, which in turn will erode the world’s trust in the dollar. This can cause instability in the global financial system. Thus the US is all set to cede its central role in shaping the global trading system. That side, intriguingly Trump is more likely to fail in delivering the promised benefits to his support base. All is not well even on the geopolitical front: Trump’s plans to retreat from the alliances that the US has had with European countries or to change terms of agreement by demanding the allies to bear a larger share of costs is certain to weaken NATO. Over it, no one is sure of his policy towards Russia as also about nuclear deal with Iran. This fuzzy scene when juxtaposed with the Brexit, makes one shudder, for, it may lead to fragmentation of the EU besides geopolitical changes in West Asia. Similarly, Trump’s threat to withdraw from his country’s alliance with Japan and Korea provides enough space to China to assert its dominant position in the region. This coupled with the likely trade war with China—the country with which it had a bilateral trade of over half-a- trillion—resulting from his protectionist measures, is certain to aggravate the existing security concerns in the South China Sea. Cumulatively, all this means a more volatile world and the highly vulnerable are the small countries. Some analysts however see a ray of hope: the US constitutional provision for checks and balances might help in checkmating Trump. But the reality is otherwise: With both senate and Congress under the grip of Republican Party, Trump is sure to become an all-powerful President. Coming to us, fortunately, Trump has only made a few positive references to India during his campaign. Equally creditably, India too has not taken any sides during the election campaign. So, there is enough scope for India to cultivate an enduring relationship with him. And, his known stand against ISIS being what it is, India can leverage on the US in fighting against terrorism. But when it comes to our IT industry, we may face challenges, given his anti-immigrant posture. So, the only known certainty now is: World is heading for many challenging uncertainties.